LED lighting can make your business more energy efficient and can reduce your energy use and costs by up to 80%. Workplace studies are showing the positive effects of LED lighting, which can affect our energy, mood, and work performance. Improved lighting in a work environment can increase performance by 3%. 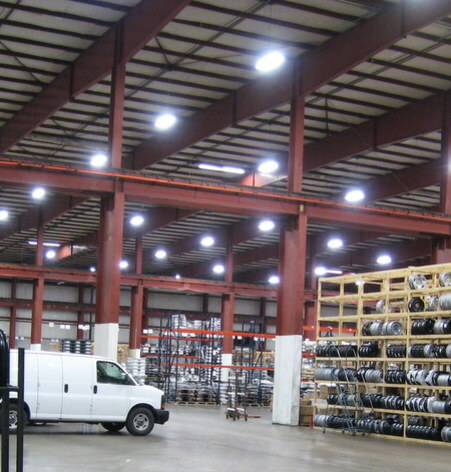 Add this to your energy savings and improved safety, and LED lighting looks like a good choice for businesses. 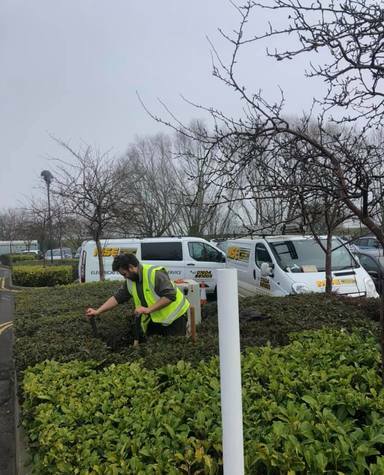 We had a great day working with JPL Agriservices to install a new lamppost. Two 70W LED lamp heads direct light over a crossing and pedestrian area for improved safety. The difference between these LED lights and every day flood lights is huge. 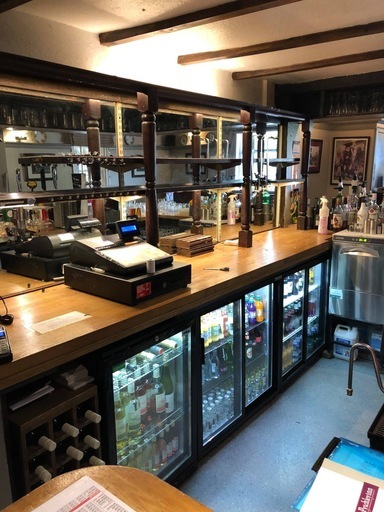 We helped to make this bar a brighter place using LED adhesive strips. The effect is dimmable for a nice evening effect (on the right). We can have them made to measure and they can be any length. They’re great for kitchens, cupboards and small reveals. We also installed LED bench strip lighting for our big engineering customer in Daventry. Speak to us about achieving the correct light levels for your working environment. These new requirements will start with new tenancies in the first year and will then be extended on a phased basis over the following year. They could come into effect as early and June this year. Local councils expect to be given power to impose fines of up to £30,000 on landlords who rent out poor quality properties. The Government has now responded to the results of its public consultation last spring on electrical safety in the private rented sector (PRS). enforcement of the new regulations, with significant penalties for landlords that don’t comply. The inspections will apply to ‘electrical installations’ in a privately rented property and specifically consumer units, rather than electrical items such as kettles, for example. Contact us if you would ike to arragne an electrical inspection of your rented property. 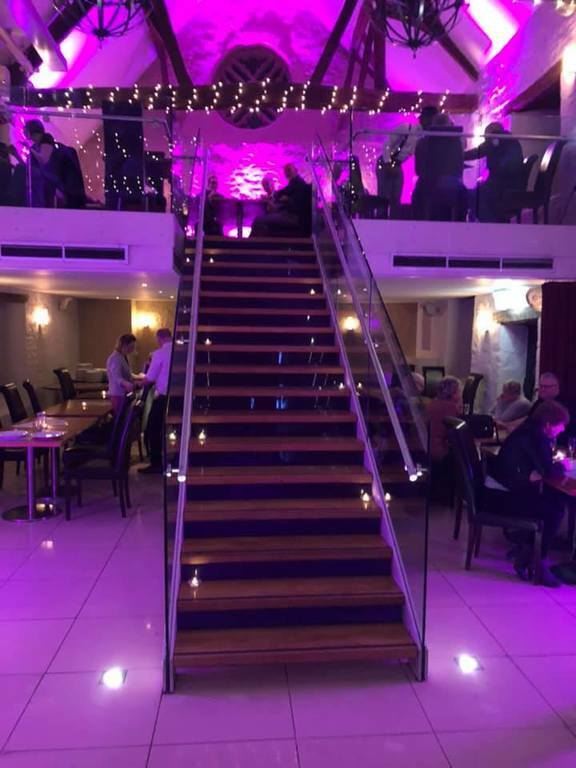 We’ve just completed a lighting makeover at the Church Restaurant in Northampton in time for their relaunch. We hope you agree that the results are stunning. At St Peter’s Basilica in Rome some 780 LED luminaires have just been installed, allowing visitors to have an unprecedented view of the domes, frescoes, mosaics, paintings and statues. For centuries these features, including Michelangelo’s painting on the 450 ft-high main dome, have been all but invisible. The new luminaires are at heights ranging from 40 to 360 feet and have brightened up the environment by a factor of 10 in some places. We all know that LEDs are efficient and can save us money. This year there are some new LED trends to look out for. Fixtures – specially designed lighting installations can give indoor and outdoor spaces an impressive personality. Chandeliers and sculptures – large and small – can now deliver a wide range of colour and light levels to create dramatic effects. Streamlines – sleek modern interiors can look impressive when complemented by seamless lighting designs. If you want to create a subtle mood rather than a design statement, hidden LEDs can create just the right results. Toned - lighting control systems are becoming very sophisticated. You can now change the colour temperature and illumination level in almost any space. In hotels, restaurants, schools and offices it’s now possible to change to colour temperature throughout the day to relax or stimulate people. If you’re interested in an LED lighting makeover, please get in touch. 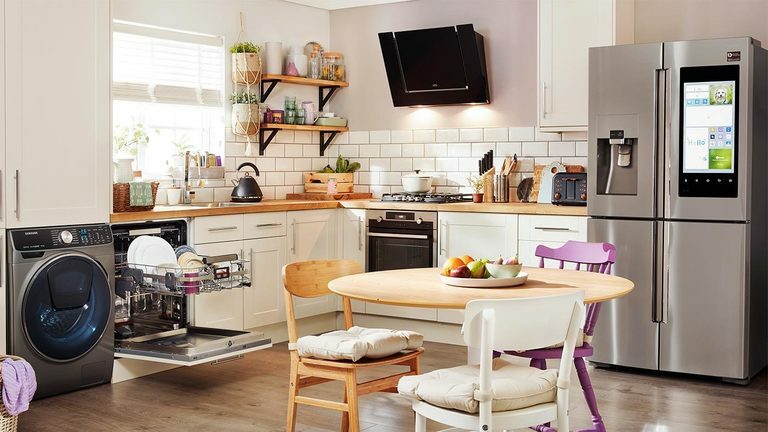 The easiest way to register your appliances is to go to the ‘Register My Appliance’ website, which has links to all of the major electronics manufacturers. You’ll just need the brand name, model name or number, serial number and the date you bought it. Please get in touch if you would like advice about the safe installation of electrical appliances in your home. New research commissioned by Electrical Safety First has found that seven fires a day in England and Wales are caused by faulty electrical appliances. However, two thirds of the electrical products we buy aren’t, registered with the manufacturer, so there’s no way we can be contacted if there’s a problem. The electrical safety charity surveyed 5,000 adults to estimate that there are probably around 268million unregistered appliances. Worryingly, less than a quarter of electrical items bought during the last Black Friday, Cyber Monday, Christmas and January sales period have been registered. The most common causes of fires due to faulty appliances are washing machines and tumble dryers. However, less than 40% of us are aware of the main risks associated with recalled electrical products. Owners are being encouraged to register all their electrical products with the manufacturer as soon as possible. The new Wiring Regulations 18th Edition (BS 7671) became fully effective on 1 January. Electrical installations designed after 31 December 2018 must now comply with the new regulations. New technologies, changes in user needs, and experiences since the previous edition have all influenced the revisions included in the new Regulations, with an even greater emphasis on electrical safety. It’s a good idea to make sure that your installations are kept up to date with regular maintenance inspections and periodic testing. Get in touch if you would like to know more about how the new Wiring Regulations will affect your electrical installations. To be sure you receive professional quotations and properly completed work from qualified electricians you can use the Electrical Safety First website to search in your area. Or, of course, you can get in touch with us. 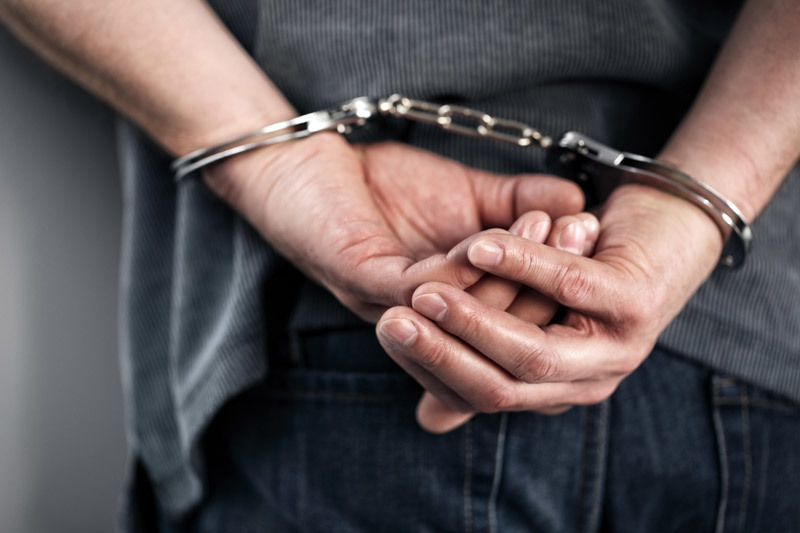 A man from the North East of England has been given a 13-month prison sentence this month. He has posed as a registered electrician. He claimed he was fully qualified, accredited by ELECSA and Trustmark and registered with NICEIC. None of this was true. 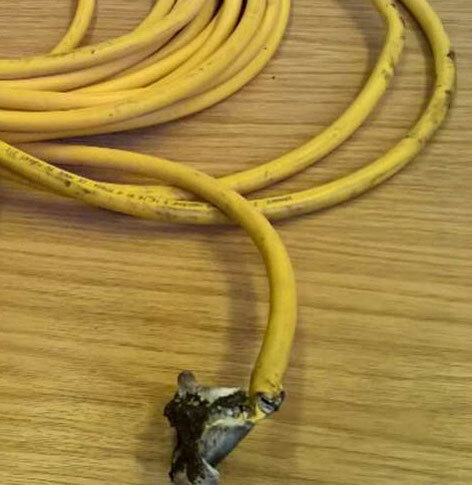 This rogue electrician charged £3,000 to fully rewire a property. When the homeowner challenged the quality of his work, he abandoned the project but did not return the money. The homeowner complained to Trading Standards. 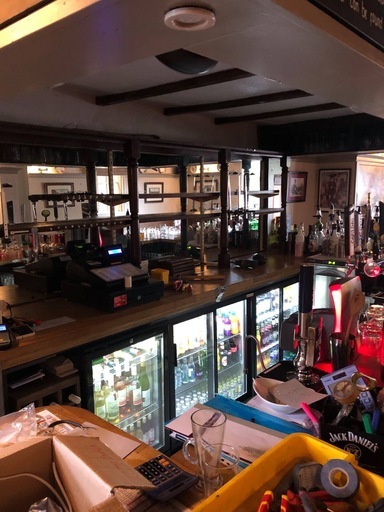 The work was so poor that the electrical engineer who inspected the property said it represented a serious risk of fire and electrocution and shouldn’t be used until remedial work had been completed. It cost thousands of pounds to make sure the property was safe again. Fortunately Trading Standards, working with ELECSA, was eventually able to get the homeowner’s money returned. The next Big Energy Saving Week starts on Monday 21 January 2019. 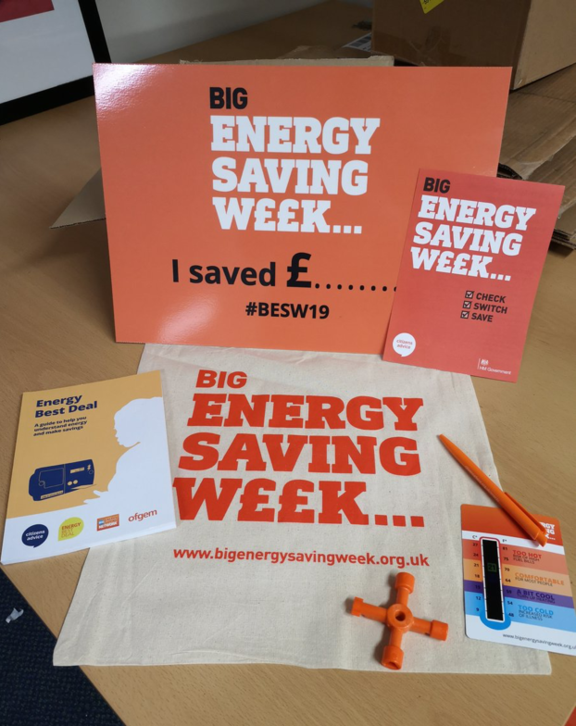 The week focuses on raising public awareness of how to make their homes more energy efficient and how to save money on energy costs by switching energy supplier or tariff and accessing discounts or grants. This year’s campaign really had an impact. Over 660,000 customers switched their electricity supplier in February. That’s the highest number ever recorded and is a 60% increase compared with February 2017. Use the Citizens Advice energy price comparison tool to see if you can save money by switching energy tariff or supplier. We’ve been busy in recent weeks with quite a few interesting projects. 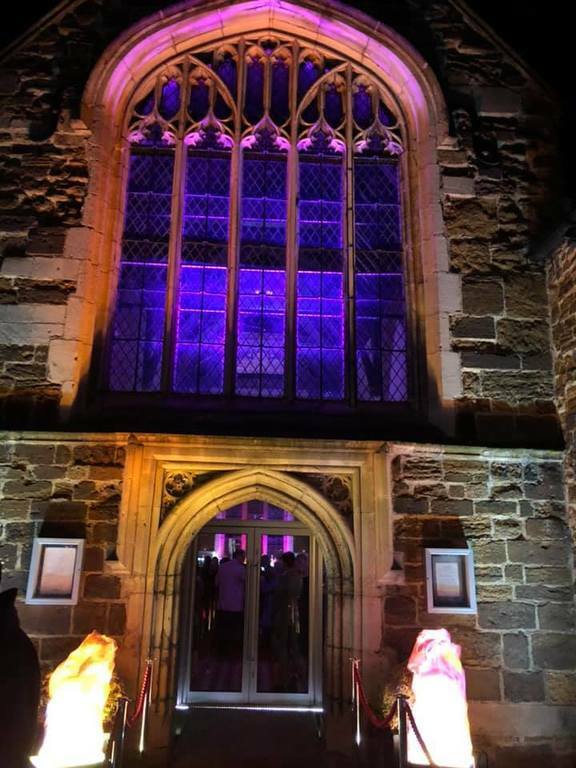 At the end of October we shared a recent bespoke lighting job – here you can see it in use at night. 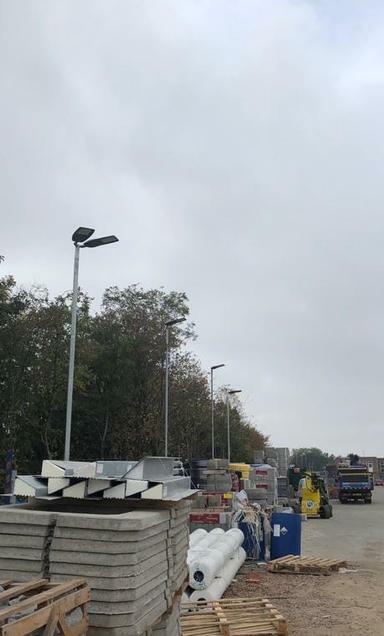 The lamp post heads were specifically designed to direct light to exactly where it is needed, making sure the loading area is safely lit. We’ll be happy to discuss lighting designs for you that will deliver the right levels of light where you need them. 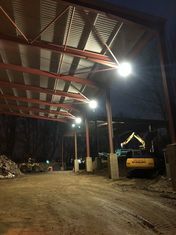 We also provided power and simple budget-friendly lighting for a new countryside grain store. We’re always happy to work on new agricultural projects and refurbishments. An office/workshop refit in Coventry included a new distribution board and an office trunking system with telephone connnections and power. In Bedfordshire we’ve been on-site, working on an outbuilding conversion. The first fix is now complete, all ready for plastering and we’ll be back soon for the second fix. This large shed was completed just as the dark winter nights started to draw in, so a quick lighting solution was needed. 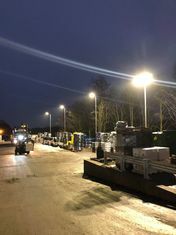 Six energy-efficient 200W LED fittings, available for next-day collection (thanks to our friends at Midshires lighting) were quickly installed to provide a good level of light at a reasonable cost. Contact us for advice and quotations for your electrical maintenance and installation projects – the more varied the better! For new or existing commercial buildings, offices, and schools, a new wireless system from Lutron offers flexible lighting options. It works with all of the main control protocols (switching/DALI/0-10V) and can integrate third party devices. Less wiring reduces installation time and saves on material costs and it’s easy to set up using your smart device of the system’s own wireless hub. The system includes automated lighting control by cleverly sensing whether people are in the area, as well as measuring the levels of daylight. It can also be programmed easily to work with a timer. If your lighting needs change you can reconfigure the set up without having to access the luminaires or cabling. Recognising that energy saving is important for all commercial premises there’s also a management system to minimise costs while maintaining lighting quality. It’s lighting and heating season again. The lighting scheme on the left was professionally designed to make sure that the right levels of light were achieved in all the right places. The bespoke units were designed with special optics to distribute the light for the busy loading areas. 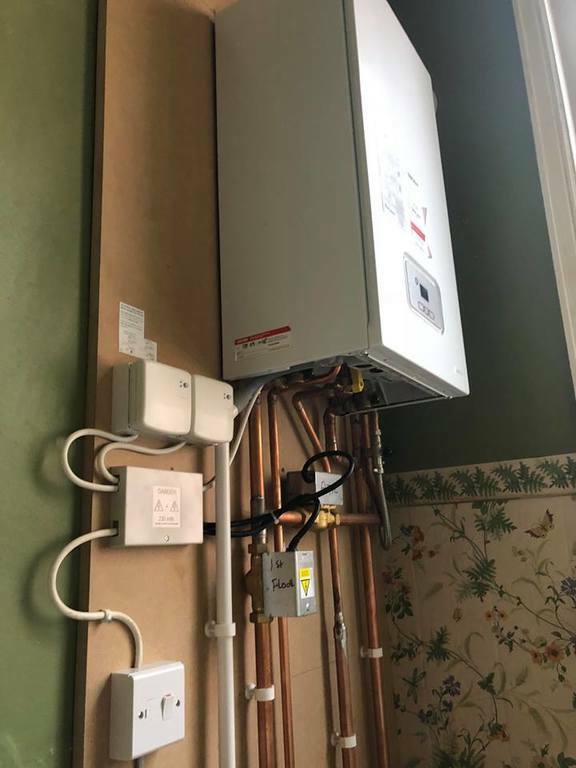 We also work closely with plumbing contractors to connect the electrical components of heating systems like this one shown on the right at a veterinary clinic in Northampton. By June this year smart meters had been installed in 12.5 million households, so there’s still a long way to go. The new smart metering equipment technical specification 2 (SMETS 2), comes into force this month. Smart meters will become part of a nationwide digital network to help manage energy demand. They will transmit data to utility suppliers via a national network. There will be no need for meter readings and they will be transferrable between energy suppliers. However, many of the earlier smart meters aren’t compatible with the network, meaning they won’t work if customers change suppliers. The energy regulator, Ofgem, is allowing 12 suppliers to continue installing the old-style smart meters to help with the smooth introduction of the new standard. Flexible cords and cables, either with plugs or in permanent wiring, are invaluable in domestic and commercial installations. However, unsafe flexible cord has been found on sale in the UK, and a new alert has been issued. The rogue cords are marked ‘Made in Turkey’ and ‘Ermaks’ and the Approved Cables Initiative (ACI) is warning that they should not be used. Samples can be sent to the ACI (minimum 5m length) for testing and checking by a qualified electrician is advised. They were discovered following a recent ‘Counterfeit Flexible Cords’ campaign. The ACI believes that the manufacturers reduced production costs by using copper clad aluminium (CCA) as the conductor. CCA isn’t as tough as copper and will break more easily. Testing showed CCA conductor’s resistance was higher than required by British and European standards, creating a significant fire risk. 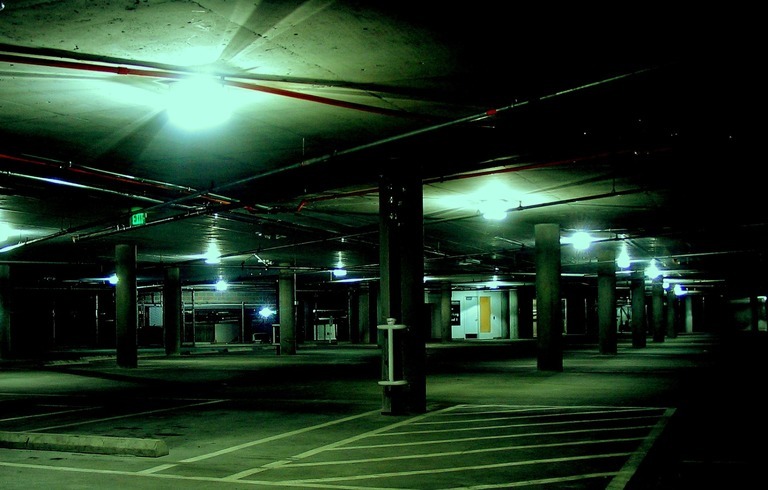 White light is good for car parks, giving good visibility and reassurance. It will also help with CCTV images. 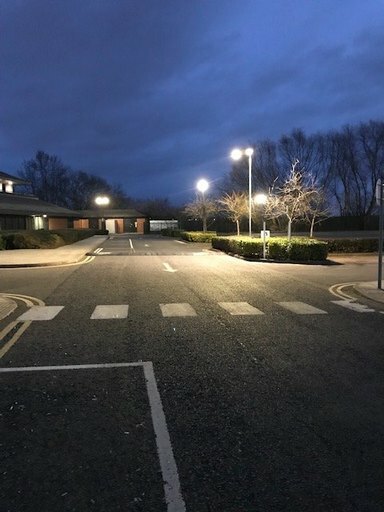 Darker mornings and evenings remind us that the year is winding down and that it’s time to make sure car park lighting is working properly. Depending on how busy the car park is likely to be, the lighting levels could be as high as 20 lux. You’ll also want to be sure that there aren’t any dark spots due to lamp failures. 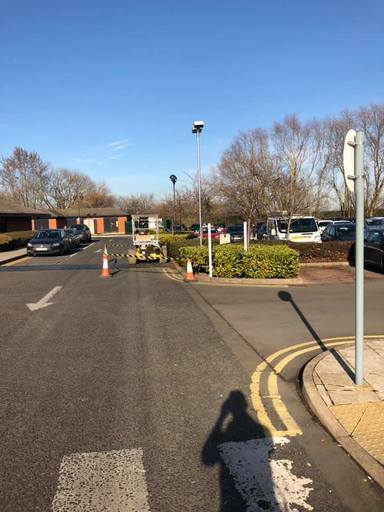 Modern LED lights can be very effectively controlled to minimise glare and to target exactly the right areas so that people can see and be seen. If there are peak times, for example when everyone arrives for work and leaves again, you might want to consider dimming controls. This will provide energy savings and avoid annoying your neighbours with over-lighting when it isn’t needed. Get in touch today if you would like your car park lights checked this autumn. According to the government’s new Smart Homes Report almost a quarter of us (23%) now own one or more smart home devices (and that doesn’t include smart meters). 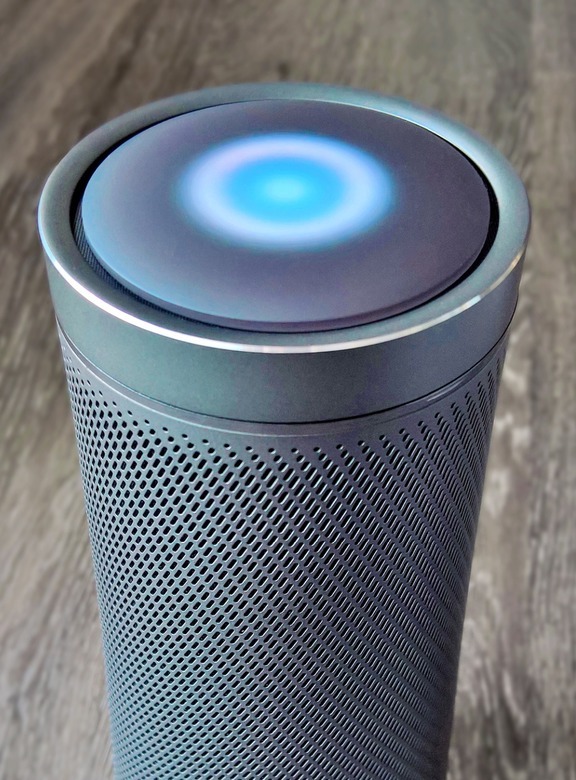 Smart speakers remain most popular (one in ten people have these), with the Amazon Echo speaker being more than three times more popular than its nearest rival. 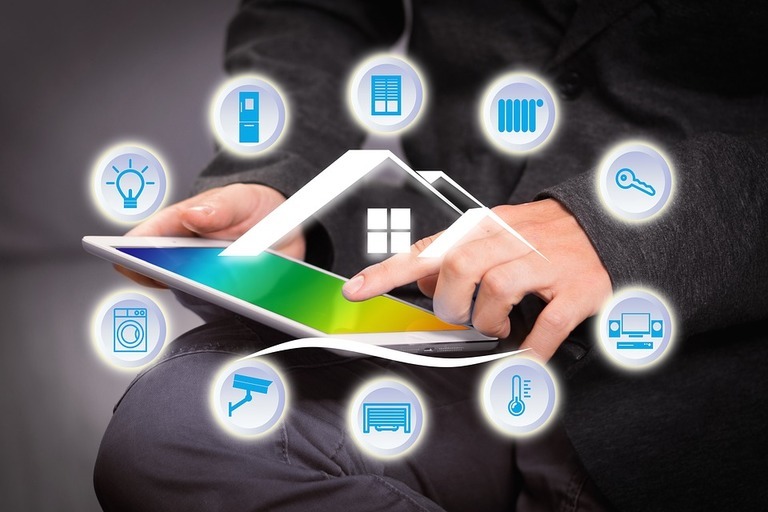 Once you own one device, you are much more likely to buy more, including smart thermostats (6%), lighting (5%), health tracking devices and security equipment (3%). While the majority of non-owners are aware of smart devices, the government’s report highlights that they are concerned about security and data privacy. Many others just don’t see how they would benefit. Smart meters are different. Many are free in most cases, and 18% of us currently have one to measure our gas and electricity consumption and to send automatic readings to utility providers. In theory this should give us more control over our energy use and save money too. However there have been some concerns about their accuracy. The government says it wants every home to have one by 2020, although you can opt out. You can find out more about recycling your old lamps and luminaires on the Recolight website or give us a call. Can you imagine how many old lights it would take to fill the Royal Albert Hall ten times over? It’s around 300 million – and that’s how many Recolight has funded for recycling since the Waste Electrical and Electronic Equipment (WEEE) regulations were introduced in 2007. Recolight is the UK’s leading scheme for recycling old fluorescent and LED lamps and luminaires. It has a dedicated open collection network for consumer and business lighting waste across the UK. 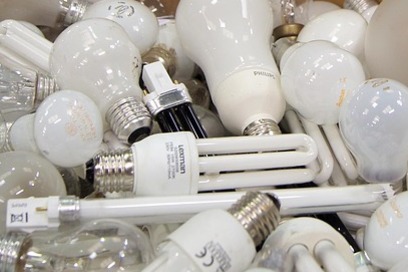 With 3000 collection points for old fluorescent and LED lamps, it has helped to increase the UK’s lamp recycling rate from 39.5% in 2012 to 48.5% in 2017. A new scheme to improve the safety and quality of commercial lighting products has been launched by British Standards Institute (BSI) and the Lighting Industries Association (LIA). The scheme is also intended to reduce the risks of product recalls and returns by improving product standards. The new BSI Kitemark for Commercial Lighting was developed because of concerns across the UK lighting industry about the growing number of low-quality products. Because the Kitemark is recognised and trusted it adds weight to the seriousness of this issue. The scheme will give a coordinated approach to third party certification. 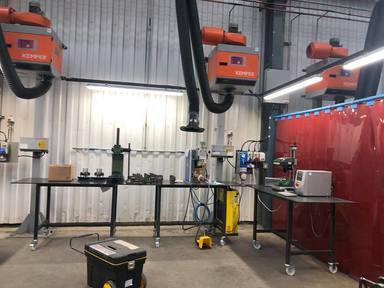 It will confirm compliance with safety requirements and support manufacturer’s performance testing claims, helping to improve confidence in the quality of products. A webinar giving further details of the scheme is available on the LIA website. Information is also available on the BSI website. Each year around 12,500 house fires, 750 serious injuries and 10 deaths are caused by unsafe electrics in the home – some being the result of DIY projects that have gone wrong. 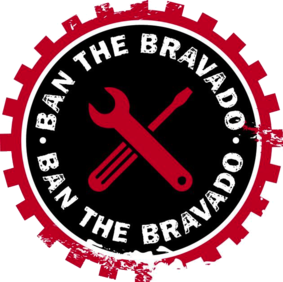 The ‘Ban the Bravado’ campaign aims to raise awareness of the risks of amateur electrical work and encourages people to use only qualified and registered professionals. 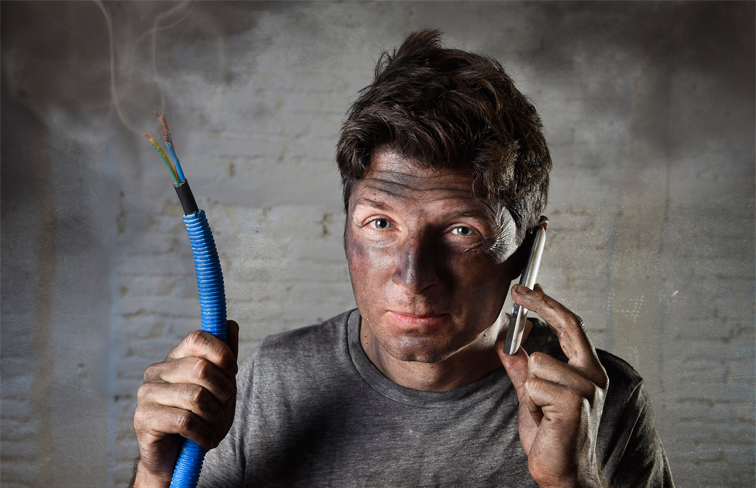 Don’t risk DIY electrical work in your home – give us a call. Every Bank Holiday home owners across the country start new do-it-yourself projects. 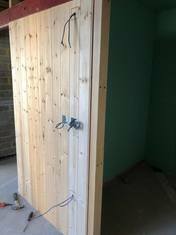 Some gardening or home decoration could save you money but some people – and, it has to be said, mostly men – also undertake electrical DIY. The results can be dangerous. Research by the NICEIC and ELECSA shows that almost two thirds (61%) of the UK’s men would happily have a go at DIY without any experience. Of these, 38% say they would attempt electrical work, compared with just 8% of UK women. Combine this with the fact that 61% of men admit their DIY skills are average or below and warning bells should be ringing. The electrical world is full of letters and terms – here we explain some of them. If the term you’re looking for isn’t here, please get in touch and we will be happy to tell you about it and add a simple explanation to our list. AC - an abbreviation for alternating current. Electricity is all about electrons travelling through a conductor (like copper). When electrons alternately move in different directions it is an alternating current. AC current us used for homes and businesses. DC – an abbreviation for direct current where the electrons are all moving in the same direction. DC current is used to charge batteries, for electronic systems, some industrial processes and high voltage power transmission. Amp – the unit for measuring electrical current. BS7671 – the UK national safety standard for electrical installations, also known as the wiring regulations. Circuit – electricity needs to flow continuously, without any breaks, and this is called a circuit. Consumer unit – used to control electricity. The unit will often include a main switch, fuses, circuit breakers or residual current devices (RCDs). Current – the more electrons travelling through the conductor, the more power they deliver. Large electrical currents are dangerous. Earth – the earth wire will direct the electricity straight into the ground rather than passing through you. Earth wires are usually marked with yellow and green striped plastic covers. Fuse – a key part at the beginning of an electrical circuit to prevent too much electricity from passing through wiring. Often a circuit breaker will cut power when something is overloaded to prevent the cable and equipment overheating and becoming a fire hazard. Insulation – a coating, usually plastic, around conducting materials. IP rating – categorisation of safe lighting. For example, high IP ratings are for bathrooms or outside and lower IP ratings are for indoor lighting. Joule – the unit for measuring electrical energy. 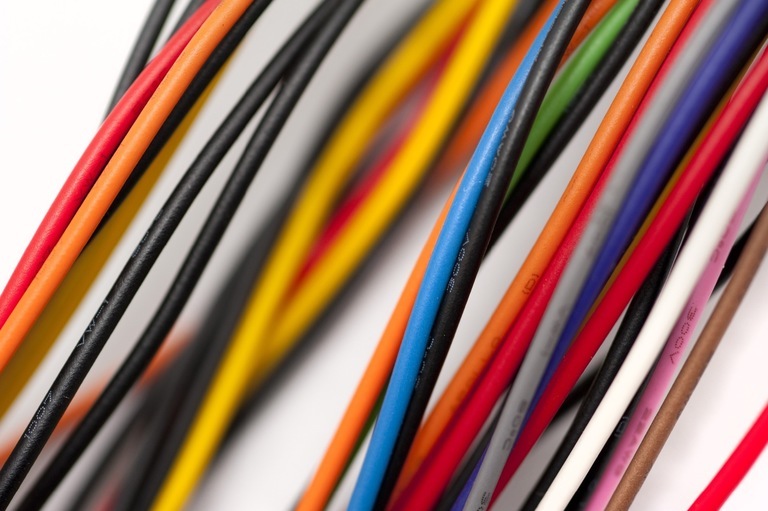 Live – a wire carrying electricity, commonly coated in brown plastic (note - older systems might include live wires covered with red plastic). You can receive an electrical shock from live wires. Neutral – a neutral wire completes an electrical circuit and allows electrons to flow. Neutral wires are usually covered in blue plastic (note - older systems might use a black plastic covering). Part P – a section of the Building Regulations for England and Wales about electrical installations in domestic properties. Transformer – used to change voltage, to dim lighting for example. Voltage – the unit for measuring the force of electricity moving through wires. High voltage locations are often marked as dangerous. Watt – a unit to measure electrical power.